Shiva hours: from 2:00 to 4:00 and 7:00 to 9:00 p.m. daily through Monday evening. Dear Gossack Family, On behalf of my mother Sarah Simon & myself, we want to express our deepest sympathy on the loss of your mother. She was a good friend to my mother, and a wonderful neighbour on Melling Avenue. Dear Marty, Claudia and family, So sorry to hear about the loss of your mother and mother- in-law. We send our deepest condolences and are thinking of you during this most difficult time. Brenda - So very sorry and saddened to hear about your mom. Please accept our deepest and most heartfelt sympathies, and extend them to the rest of your family. Please know that you are in our thoughts. Dear Brenda and Family,I was sad to hear this news. My deepest condolences. Brenda, Don and families, my condolences to you on the loss of your Mom. My thoughts are with you at this most difficult time. Dear Bulua family, Sorry to hear of your loss. Please accept our sincere condolences. Dear Caroline and Jonah, I extend my deepest condolences to you and your family on the passing of your grandmother. I hope that your memories of her help you during this difficult time. May you be spared further sorrow. Dear Brenda, Don, Caroline, Jonah & Michael, Extending to you and all the family our deepest sympathies at this very sad time. May you all be spared further sorrow. To the Gossack Family, My mother Elaine Guttman moved from Castel Royal to Constantia just before Norma did. Although they were never close friends, they shared a history of moving from Montreal to Toronto in their later years. Please accept our condolences on the loss of your mother. Dear Bren, All I can say is your mother was the strongest most easy-going and kindest and warm and loving and gentle soul. I have known your parents since I was 12 years old and knowing that I had a chance to visit your mom last m all I can say is your mother was the strongest most easy-going and kindest and warm loving and gentle soul. 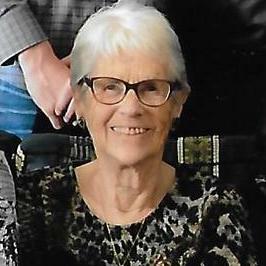 I have known your parents since I was 12 years old and knowing that I had a chance to visit your mom last year in toronto and sharing a danish together meant the world to me. Your mom has had a beautiful life filled with many children and grandchildren and great grandchildren and her love for her time at Beth Zion. Your mom raised a wonderful woman in you and her kindness and warmth shoes everyday in Carolyn and Michael. I am so sorry I cannot be there tomorrow, but I am there in spirit and I will see you the following week. Sending you love and strength. I was saddened to see that Norma passed away. My late mother, Diane Brooks (and I when visiting) enjoyed her company very much at the Castel Royale dining room table. May your happy memories of your life with her sustain you at this difficult time. Our sincere condolences to Avrom and all the family on the loss of your dear mother. May the memory be for a blessing. I am so sorry to hear of Norma's passing. I only knew her for a short time, but it was as a wonderful lady with a sharp mind and a sense of humour that made our interactions that much more enjoyable. May her memory be a blessing. Dear Brenda, Don and Family, Our sincere condolences on the loss of your Mother. Our thoughts are with you at this difficult time. Baruch Dayan HaEmet. To The Gossack Family, Our deepest condolences on your loss. Dear BRENDA...my condolences to you and all your family for your loss. Peacefully, at home in Toronto, surrounded by her loving family, on Monday, April 8, 2019, at the age of ninety-two. Beloved wife of the late Kenneth Gossack for sixty-five wonderful years. Devoted and cherished mother and mother-in-law of Avrom and Shirley, Hilda, Martin and Claudia, Brenda and Don Bulua. Treasured Bubbie of Ilana and Jason, Benjamin and Thy; Jason and Brianna, Adam and Pam; Carolyn and Jonah, and Michael. Proud great-grandmother of Isabel, Jack and Brody; Claire and Elizabeth. Dear sister and sister-in-law of the late Sydney and the late Shirley Goldstein, the late Ruth and the late Abe Acker and the late Saul Brodsky; and sister-in-law of Ray and the late Israel (Sunky), P.J. and the late Larry, the late Fred and the late Corinne, the late Syl (Solomon) and the late Annette. Norma will be deeply missed and lovingly remembered by her nieces, nephews, family and friends. Heartfelt gratitude to all those who contributed to her care and wellbeing. Funeral service from Paperman & Sons, 3888 Jean Talon St. W., on Wednesday, April 10 at 1:00 p.m. Burial at the Beth Zion Congregation Section, Eternal Gardens Cemetery, Beaconsfield. Shiva at her daughter Brenda’s home, from 2:00 to 4:00 and 7:00 to 9:00 p.m. daily through Monday evening. Contributions in Norma’s memory may be made to the Israeli charity of your choice.